This highlights a core problem with how we have evaluated talent and hired for multiple generations. We tend to evaluate talent in very subjective contexts, even though we know the objective skills needed for success in a role. That’s Problem 1. Problem 2 is that even though the business world is moving faster than ever, we still root the hiring process in bullet-pointed checklists of static skills, and we often take candidates at face value that they have those skills or have lead projects involving them. These are major flaws of how we staff our organizations, especially in technical roles. When hiring someone highly-technical, especially if it’s a business critical project, you absolutely need to know they have the skills to perform that role. And you need to be comfortable with the breadth of their experience, in case the role you need now evolves in a few years. We’ve met people who entered companies as Java engineers and were working on Internet of Things projects in less than 18 months. When you miss on hire, the cost is often around 30 percent of their first-year salary. For big engineering roles, that’s a major hit monetarily. So the question remains: how do you reduce (you cannot totally eliminate) subjectivity and ensure the right skills are possessed by the candidate? This is the 1-2 punch at the center of improving the hiring process in IT/technical jobs — and in reality, in all jobs. The resume can help as a guiding document, just as a candidate’s LinkedIn profile can. But by no means should it be considered a be-all and end-all representation of a candidate. This should occur at the departmental/hiring manager level. There is oftentimes an incentive to “laundry list” every possible skill under the sun. Avoid this and focus on the core skills someone would need in this role right now. This is where you need to move past the resume/LinkedIn/GitHub stage and actually talk to candidates and see them perform certain tasks, be that whiteboard coding tests or other projects. You need to have conversations with them about their experience and how they worked through that problem. This is where you begin to reduce the subjectivity because instead of someone telling you “Oh, I know C+,” you get to see how they actually interact with a project involving C+. Question Interlude: Isn’t this what we do at eTeki? Question No. 2: Let’s say there are 100 candidates (round number) for a specific job. If eTeki has multiple interviewers assessing technical skill, how could an organization be sure of consistency in the process? We provide them a playbook in terms of what to ask, how to approach the candidate, what tests and exercises to walk them through, etc. There will be certain topics and discussions an employer wants, and that’s road mapped for interviewers. This ensures consistency, which also helps reduce the subjectivity inherent in the hiring process. Back to the steps. Step 4: Test the candidates on the necessary skills. Got it. eTeki helps there! Step 5: Present the findings to a hiring manager. Ah-ha, this is one of the most beautiful parts of fixing the hiring process. See, now you are presenting actual, objective information about a candidate’s skill sets and capabilities. It isn’t just “I like how he sounded on the phone” or “It’s cool he worked for Oracle for a number of years.” (While it is cool they worked for Oracle, you have no idea what he or she did there until you see them walk through technical skills.) The hiring manager receives scores around technical proficiency and around experience, on 1-5 scales. It makes their process of narrowing down/selecting candidates much more data-driven and less based on “gut feel” or side factors. Now it’s rooted in data! And now you’re not going to miss on it, which will save you that bottom-line cost hit. Now, it’s not always that easy, of course. There are hiccups between any human-to-human interaction has a degree of subjectivity. But if you truly assess skills and experience with vetted interviewers, your hiring process instantly becomes more relevant and scientific than it would be otherwise. And that’s an important goal in an era where business needs shift dramatically and we continue to compete on top technical talent. 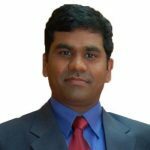 Surendra Pepakayala has over 18 years experience in implementing enterprise, web, cloud and DW/BI solutions, leading teams of 15-100 developers/software engineers, DBAs, architects, and project managers on project/product budgets ranging from $100K to $80M in revenue. His work spans startups, the medium sized boutique consulting firms and multinational companies in Insurance, Telecom, Retail, Manufacturing, and Education.